Today, we had breakfast at Teddy's, an old hang out. Teddy's is in the center of the cute little historic town of Cranbury, NJ. Even though we are only occasional patrons now, George, the owner, remembered that our son was ill and he asked how Joe was doing. When we told him that Joe had passed away, he was visibly upset for us and genuinely compassionate He recommended the book "Final Gifts." It is a book in which two hospice nurses, Maggie Callanan and Patricia Kelley share their intimate experiences with patients at the end of life. He said it helped him a great deal after his father, Teddy, passed away. I knew that Teddy had been ill, but I didn't know that he had passed away. I felt so sad. Since Joe passed away, I have been feeling more lonely for my kids and grandkids. Each of the kids live about an hour to an hour and half away from us. Ross and I have been tossing around the idea of renting a little apartment in the general area where my kids and grandkids live. We thought we could use it as a little get-a-way. Sort of our cabin in the woods. We searched online and found an adorable little place in Cranbury within walking distance of Teddy's. 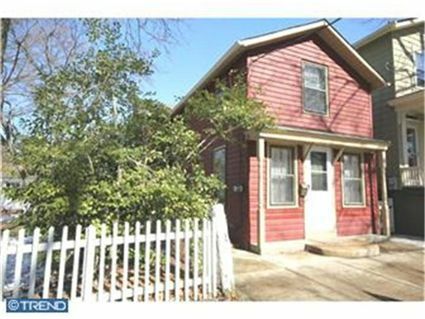 We walked into the realtor's office in town and ask the agent about the little red house. She asked us why were considering renting in the area. We told her that it was probably an emotional response because of the loss of our son. This lovely woman, who we just met, cried. I felt so sad. The house was as adorable inside as it was on the outside. It had a cute little back yard. I could see Ross and I there, walking around town. But after we left the realtor's office, I received an e-mail from the agent telling me that the owner would not rent to us because we have our little dog Rico. No pets allowed. I felt so sad. As we were riding around today, I saw a deceased possum on the side of the road. I guess some would refer to it as "road kill". It's not a rare sight and normally I wouldn't have given it a second thought. This was a little guy. His front paws were tucked under his chin and his hind legs were curled up in a fetal position. He looked like he was asleep. I felt so sad. I cried a lot today. Was it because I miss my son more than ever? Was it because I am lonely for my family? Was it because Teddy is no longer sitting in his regular spot, on the first bar stool at the counter? Was it because we won't be sitting in the front room of our little red house looking out at Cranbury? Was it because of the little possum? It's all of it and none of it. I am just so sad. Home in morning. Elsie over for a while. Talked about sad tragedy of yesterday. Plane at Newark Airport came down and killed thirteen. Mrs. B. phoned me to go to Kresges' for card party. I won prize. To read more about this plane crash click here. I am going to take your suggestion and download an Anne Lamott on my kindle. Thanks. You write so beautifully and openly and honestly about such hard, hard things. And, I know I don't need to tell you this, but you have every reason to be sad. It's okay to just be there. And to cry and to be lonely and to write about it and that possum was likely the lightening rod for your sadness. So be it. I wish you could have gotten that little place. But perhaps there is an even better spot waiting? And I hope today is a bit brighter for you. Do something nice for you for me. "And I felt like my heart had been so thoroughly and irreparably broken that there could be no real joy again...Everyone wanted me to get help and rejoin life, pick up the pieces and move on, and I tried to, I wanted to, but I just had to lie in the mud with my arms wrapped around myself, eyes closed, grieving, until I didn't have to anymore."